■Templates for albums, banners, buttons and slide shows. ■Import various media formats such as AI, MP3, MPEG, AVI, MOV, etc. 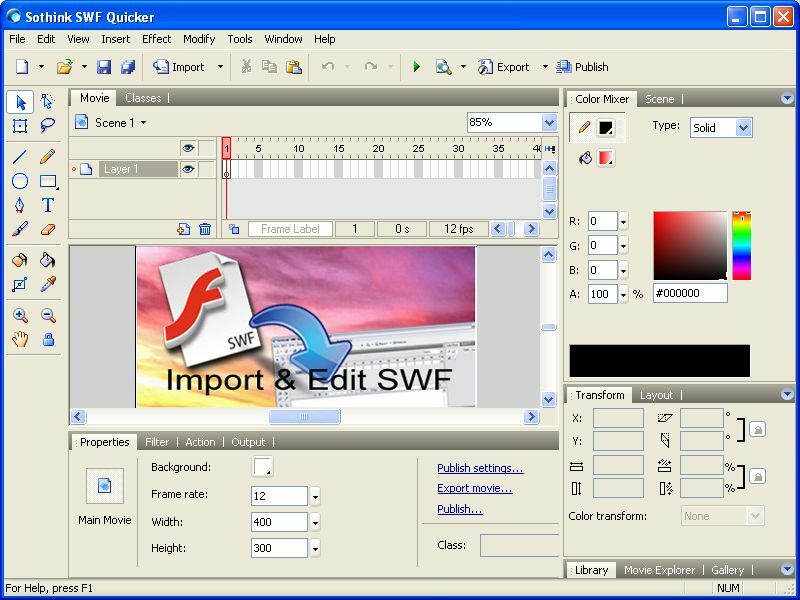 ■Importing and editing SWF files and the corresponding EXE files.